"The finest … of Holmesian scholarship"
I have been trying to figure out how to include this thoughtful and endearing essay on Private Life by Howard Haycraft for some time. In the end, I decided to put it here as a bonus chapter. By day, Haycraft worked for H.W. Wilson Company in New York, the firm that, among other things, published Twentieth Century Authors, British Authors of the Nineteenth Century and other standard references that were essential in the day before the interwebs came along. Haycraft dove into the debate over whether mystery and detective fiction could also be good literature, and came out on the side of the hawkshaw. The book was popular in no small part, because those who had been secretly reading mysteries could now proudly bring them out of hiding. 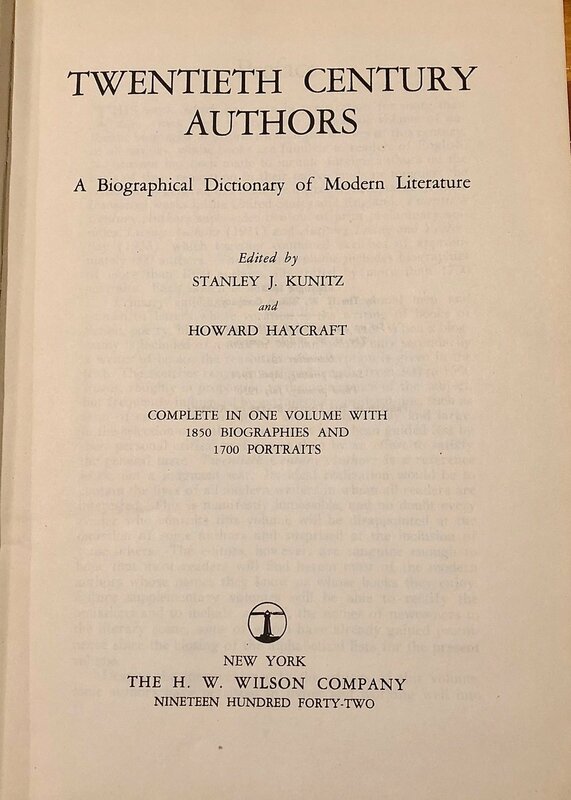 Haycraft’s next major work was The Art of the Mystery Story: A Collection of Critical Essays, published in 1946 by Simon and Schuster. It’s not Starrett’s essay I’m concerned with here, as enjoyable as it is. Rather, I want you to hear how Haycraft talks about Starrett’s book and his appreciation for the admiring way Starrett writes about Holmes. Haycraft starts by introducing the idea of “Holmesiana or Sherlockiana, or occasionally Watsoniana” as practiced by the Baker Street Irregulars and associated Sherlockians around the world. 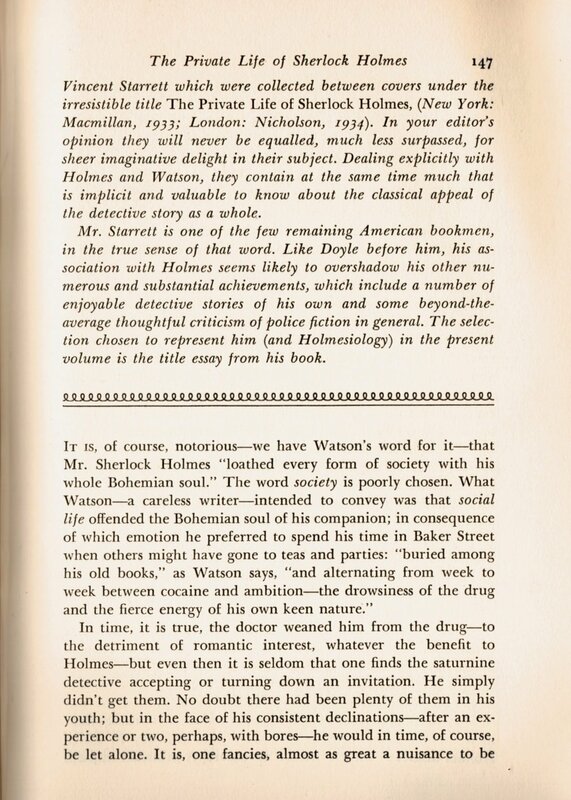 While tracing the history of the movement, he concludes: “The truth of the matter probably is that the game belongs to no single individual, but to the unique reality of Holmes himself.” He then turns his attention to Starrett’s masterpiece. 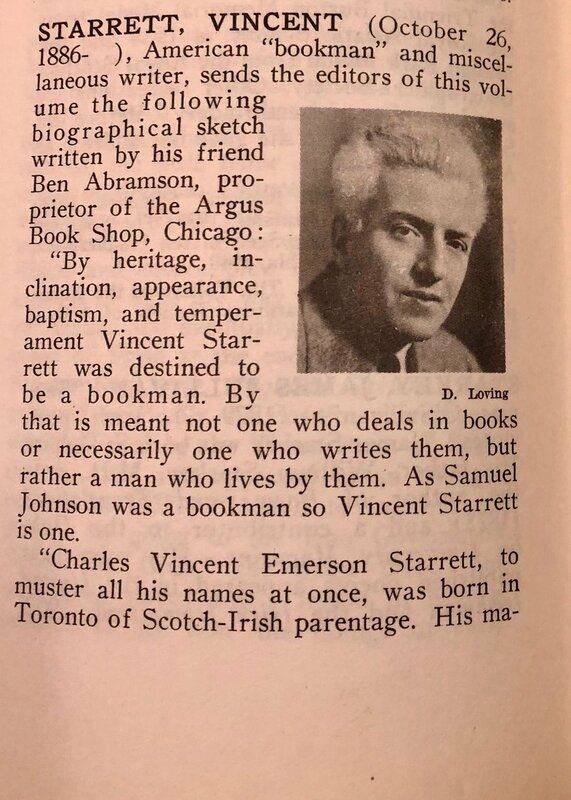 Haycraft could not have been kinder to Starrett, and the old Chicago bookman must have burst with such praise. At the same time, Haycraft’s prediction about Starrett’s own detective mysteries fading behind his Holmes-work was all too prescient. 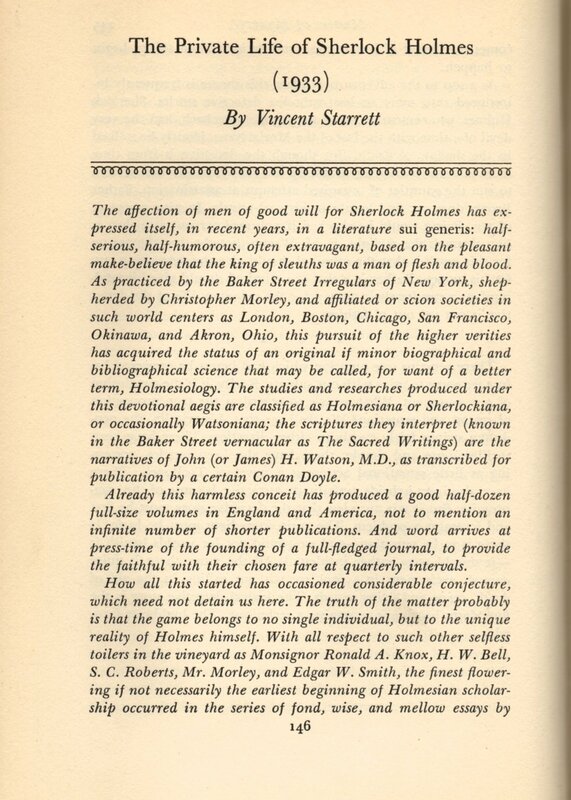 Late in life, Starrett was grateful for his popularity among Sherlockians, but saddened that his considerable library of work had been forgotten. The fat, green spine of Twentieth Century Authors. A familiar sights to those of us who haunted libraries in the 60s and 70s and used volumes like this to get information about writers for high school and college essays. Haycraft left behind one additional essential item for those interest in detective stories. In Life and Times of the Detective Story, Haycraft published a list of cornerstone works. Ellery Queen expanded on the list and updated it over time. The Haycraft/Queen list of cornerstone works was, for many mystery/detective collectors, an essential guide to the genre. Book dealers continue to cite it in their listings. When Haycraft died at 86 in 1991, The New York Times asked Otto Penzler about Haycraft’s first and most famous book, Murder for Pleasure. "At the time of its publication it was the most important single work of fiction-mystery scholarship ever produced," Otto Penzler, the owner of the Mysterious Bookshop in Manhattan, said yesterday. "It remains the most insightful, perceptive and fair-minded book ever written on the subject." IMHO, if you combine Murder for Pleasure with The Art of Murder, Otto’s assessment holds true today.